Warfare in the 21st century is about the battle for the mind – it is about ideas and perceptions. Understanding how people make sense of what’s happening around them, i.e., socially constructed reality is a key element of this dynamic. Military strategists, at least the ones I favor, i.e. Sun Tzu, Liddell Hart, and John Boyd, would all agree that ideas have consequences and are perhaps more consequential than bullets, especially in today’s environment of limited war. What we think, what we say, and how we act need to be congruent – that is the essence of integrity. Clearly articulating our ideas and demonstrating the integrity between ideas and actions – are vital components of war and peace in the 21st century….and they must authenticate basic human values of justice and truth. There is a moral dimension to war; and without a firm commitment to justice and truth, no narrative will be sustainable. I choose to look at Israel’s Operation Defensive Shield as the context for exploring the importance of the narrative in war because it is timely but has also passed into history, as contrasted to Iraq or Afghanistan which are battles still in play as of this writing. The eye-opener for me was the almost pathologic failure of Israeli public diplomacy during the second Palestinian Intifada in 2002 in Operation Defensive Shield. 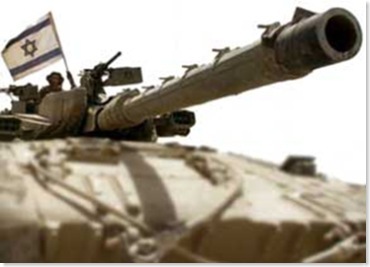 Israel found that there is no substitute for pro active attention to “the narrative” and the need for an overarching strategy that is part of the overall strategic and tactical operations. Well into the second Palestinian Intifada (uprising) Hamas sent a suicide bomber to the Park Hotel in Netanya killing 30 civilians and wounding an additional 140 while they were celebrating the Passover holiday seder. Ben Mor, from the University of Haifa, provides an excellent summary of the action; and I draw on Mor as well as references he provided from reports of the State Control Committee to the Knesset describing public diplomacy successes (not too many) and failures (more than enough). My assessment, and in the interests of full disclosure I tend to be very pro Israeli, was that P.M. Sharon had a hidden agenda, i.e. to take out the political infrastructure of the Palestinian Authority. Well, actually let’s call it an agenda that was “not articulated” because it was anything but hidden. Even Israeli journalists were quick to point out the discrepancy between the military actions, which seemed to focus on destroying Palestinian Authority infrastructure, i.e. targeting Palestinian Preventive Security forces that had, heretofore been cooperating with Israel, while largely ignoring Hamas. It was also well known fact that Sharon sought and failed to get political support for a resolution in the Knesset for dismantling the PA and for the expulsion of Arafat. If there was a hidden agenda, it would be impossible to subject it to the impeccable pre-mission planning you would expect from a highly sophisticated military organization like the IDF, and keep it hidden. The absence of clear political objectives created uncertainty up and down the military chain of command. This played out during the confrontation at Arafat’s headquarters in Ramallah. For weeks the eyes of CNN and the world were on Arafat trapped in his office compound in Ramallah, precipitating a visit from the US Secretary of State even. This is not controlling the narrative. Would it have been too difficult to ask, “Now that we’ve surrounded Arafat’s compound, what do we do if he doesn’t come out?” The Arafat flashpoint showed how the lack of a clear political objective and a clear political narrative can produce unforeseen consequences as ambiguity and uncertainty as operations unfold. This is a problem, yes, but not a systemic one. The Jenin Incursion illustrates the failure to resolve the systemic tensions between military operations and public diplomacy where the focus and desired outcomes may not only be different but seemingly conflicting. Here accomplishing the mission and doing so in a safe (for the IDF) manner trumped any thought of public perceptions. This was a tightly packed, broken down, refugee camp densely populated with hostiles and civilians. Measuring 0.42 square kilometers (about 600 yards x 600 yards) and home to 13,500 people, I can think of other places I would rather do a search and destroy mission. Israeli intelligence knew that numerous terrorist attacks had been launched from Jenin…that was no secret. The Incursion was an opportunity to go in and clean up the opposition. The problem was, “the opposition” knew they were coming; booby trapped the places and set up for a siege. Transparency is an absolute necessity in managing the narrative. And the IDF high command blacked out news coverage due to what they perceived as negative reporting on earlier operations. No international press was present for the roughly 18 days of camp occupation. This would come back to haunt the IDF because there was no independent verification of what was (or was not) taking place in Jenin. The IDF ran into an ambush losing 13 killed in action and decided to flatten anything that looked suspicious with bulldozers. The bulldozers were the armored D-9’s standing, 20 ft. tall and weighing more than 50 tons. Rumors spread of the “Jenin Massacre” where supposedly hundreds, if not thousands of civilians were buried under bulldozed houses. For an important and decidedly tricky operation, the IDF went in with a reservist Brigade commanded by a newly minted Lt. Col with less than two weeks on the job (the old commanding officer left the brigade shortly before the Incursion was launched). Other troops included some special operations people (IDF version of SEALS) and engineers to clear booby traps and run the dozers. None were trained in urban combat operations. Total IDF force on the ground was about 1,000. Most would concede they were woefully undermanned for an operation of this scope. The terrorists originally thought IDF would call in air strikes. Fatah leadership later told Time magazine that it was only when they saw IDF troops advancing on foot that they decided to stay and fight. The IDF ultimately scored a military victory but at the cost of losing the narrative battle as word of the “Jenin Massacre” spread through the international press corps. Military imbalances are often offset by public relations imbalances in the 21st century. IDF was accused of atrocities and there were no reporters around to either confirm or deny the claims. Eventually the IDF was cleared of these charges. Around 52 residents were killed, including 5 women and 4 children under the age of 15. Of the 43 dead men, 8 were 55 or older and probably not involved in the fighting. Amnesty International concluded this was no massacre. But who reads retractions? “…We strongly denounce and condemn the attempts of the Israeli Occupation Authority to break into the Church of the Nativity in Bethlehem. Shelling and bombing have set the sanctuary of St. George Church, where children are baptized, on fire. Several of the rooms at the monastery adjacent to the Church of the Nativity, where the Greek Orthodox Bishop of Bethlehem resides, were also burned. The shells, bullets and bombs resulted in massive losses and obvious impact on the structure of the Church which is considered to be a spiritual, humanitarian and cultural landmark of Christianity. Several of the besieged inside the church were also hit by the shells. 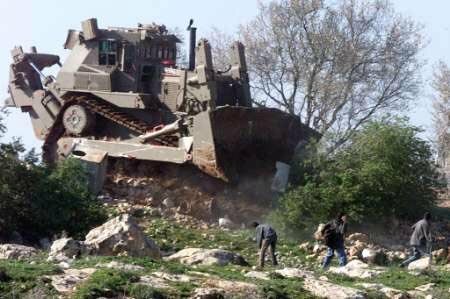 One Israeli journalist remarked that it was only the proximity of foreign journalists that prevented the IDF from calling in the bulldozers. We see from the Israeli example that a poorly drafted and executed “narrative” can have catastrophic consequences. The basic problem with the Israeli strategy is it lacked integrity. Actions and professed values were out of synch. The lack of integrity caused confusion and lack of a shared vision. Integrity means actions support belief, and beliefs support actions. Israel narrative, i.e. its espoused beliefs, did not match how its soldiers behaved. Tactical implementation (bull dozing refugee shacks), was at odds with the narrative of Israel as “terrorist victim,” and grand strategy (win the peace). Policy, set by the civilian government, was at best ambiguous. This translated into public diplomacy failures and, in many cases, caused needless risk to IDF soldiers along with some very public failures to accomplish mission. In a very real sense public diplomacy failure and military failure fed off each other. The narrative must support a vision – a shared vision with everyone in the command. Leaders at all levels must have absolute clarity and know what is expected of them. It must be strong enough to cut through the fog of war….it must become part of the operational culture, the essence of Schwerpunkt. Today the enemy’s narrative largely consists of capitalizing on our screw-ups, whether that is collateral damage, mistreatment of POWs, or overly aggressive patrolling. Our first order of the day: don’t screw up. Reputation is earned in inches per year and lost in feet per second. All of our incremental gains can be wiped out in an instant. So in a very real sense, war has a lot to do with risk management, i.e., minimizing your losses. Identify potential flashpoints, something the Israelis could have easily done before launching operation Defensive Shield. “What do we do if Arafat doesn’t leave his compound?” “What are the high profile Holy Land sites?” “What are our SWAT resources for hostage situations?” “What are their rules of engagement, i.e. when do snipers fire?” These are the sort of questions commanders need to be thinking about – war and public diplomacy are interconnected and interdependent – characteristics of complex systems. Complex systems also produce surprise. We need to develop heuristics for dealing with surprise for dealing with uncertainty. In this sense the best and most credible narrative is almost effortlessly derived from acting with integrity – what we say, think and how we act are mutually supportive, with transparency – no cover-up’s, with clarity – policy is crystal clear, and has consistency – no double standards. We have achieved Schwerpunkt – shared vision throughout the command. Clearly articulating your ideals in a shared vision demonstrating the integrity between ideas and actions – is vital components of war and peace in the 21st century….and the vision must authenticate basic human values of justice and truth. Without a firm foundation, without a commitment, to justice and truth, the narrative will be unsustainable. Winning the peace? You need to spend a lot of time thinking about this. One cannot dismiss morality in this undertaking. Don’t take a conventional, public relations approach, to the problem of developing and integrating the narrative into your operations and plans. You need people who come at this from a complex-adaptive-systems (CAS) point of view – no linear thinkers need apply. Do a gap analysis – where are you weak? where are you strong? Risk Management – some of the “next generation” risk management theory we’ve been working on at DHS certainly apply to 4GW operations. The Israelis could have identified and mitigated many of the risks they ran into in Operation Defensive Shield had they incorporated risk management theory. Operation Defensive Shield would make a great case for exploring/teaching. You should think about writing it up. It’s not about winning, it’s about not losing, i.e. endurance. Think “Iron Man” competition rather than football…as sports metaphors.